In a little less than a month, 78 junior golfers will be joining me at Eagle Harbor Golf Club for my 2nd annual American Junior Golf Association (AJGA) tournament, the Billy Horschel Junior Championship. While last year’s inaugural event was a huge success, we are excited about all of the things we are doing for this year’s tournament to make it even better! Juniors and their families can expect the following elements to make this tournament even more memorable. Stableford Format – Just like last year’s tournament, we will continue to use the Stableford format for this year’s competition. This is one of my favorite elements, as it is the only AJGA tournament with this format, and it creates a fun yet competitive atmosphere for the participants. Clinic with Billy Horschel and Todd Anderson – I had so much fun with the clinic last year, we just had to do it again this year! However, this year, the clinic will take place on Friday, which will allow both the junior players and the Junior-Am tournament participants to attend the clinic. My favorite part is hearing from all of you – so be sure to bring some questions for the Q&A session! Ralph Lauren x Billy Horschel Collaboration Shirts – This year junior golfers will get to take home a shirt from the new Ralph Lauren x Billy Horschel Collaboration line! I am super excited about this because I was extremely involved in the design process for the line. It’s one of my proudest accomplishments off the course, and I am thrilled to get to share a shirt with all of the juniors who will be playing in the tournament. Nameplates on the Range – Having participated in numerous AJGA events when we were younger, Brittany and I know how important these tournaments can be when high schoolers are trying to connect with college coaches. To help facilitate appropriate networking and to give the juniors even more legitimacy, we will be incorporating name plates on the range. After the tournament concludes, the juniors will be able to take their name plate home and a cool keepsake! 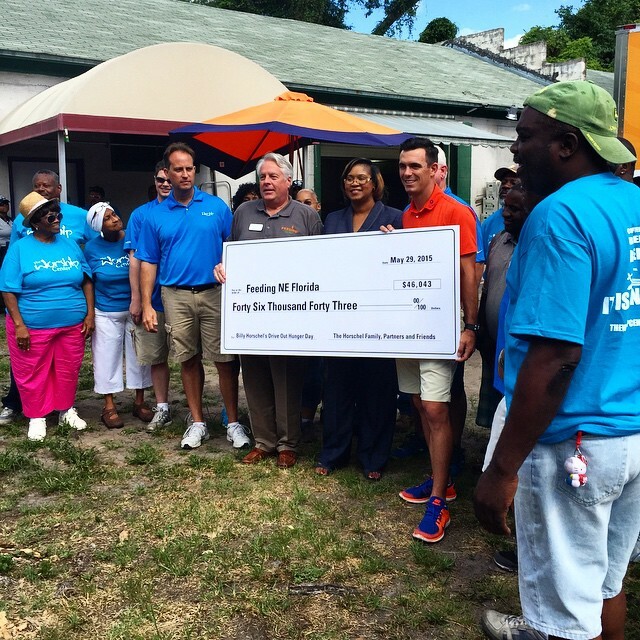 The Billy and Brittany Horschel ACE Grant Endowment Fund – Philanthropy will always be at the heart of this tournament. In addition to giving back to the Jacksonville community through Feeding Northeast Florida, this tournament will also support the Billy and Brittany Horschel ACE Grant Endowment Fund. Brittany and I think it is so important to support junior golf because of the impact it had on both of us. It means even more to us that the junior golfers who participate in my tournament will be eligible to receive funds from the grant for future financial assistance. As you can see, we’ve been hard at work to make this tournament the best it can be. I can’t wait to see all of you and your families in just a few weeks in Jacksonville. Best of luck to all the junior golfers! It was quite an honor to be named one of GOLF’s Most Stylish People in Golf this January! It’s not the first time I’ve been called out for my fashion on the course, but it is always very humbling to be considered among other great men and women in the sport. During my time with GOLF, I shared a few rules that I live by that I wanted to share with all of my fans. These help guide me so that I am always looking good - on and off the course! Iron your clothes – I know it seems like it is a pain, but really it only takes a few extra minutes to do and it helps make your outfit look like a million bucks! You look much more professional when your clothes are wrinkle-free. Don’t wear a white belt – … Unless you are wearing white pants – that’s the only time you should wear a white belt. For everything else, get a basic brown, black or beige belt. You can even try a few color belts to pull out a pop of color in your shirt or your pants. Make sure your clothes fit – Sometimes your outfit can be a great outfit, but if it doesn’t fit you right, it’s not going to look great. Take the time to try on your clothes and buy styles that fit you best, or get them tailored so that they are flattering on you. Basics are your best friends – I get a lot of inspiration from rock stars and musicians who just wear a basic white or black t-shirt and add a leather jacket or a pop of color to liven up the outfit. You can’t go wrong with something like that. One other very exciting piece of news that I wanted to share with all of you was announced at the 2018 PGA Merchandise Show - I am launching my very own capsule collection in collaboration with Ralph Lauren RLX! Talk about a dream come true! I have always been a huge fan of Ralph Lauren and have partnered with them for the past 8 years. I can count on them to help me look my best. Now, my personal favorite styles and colors will be available for men and women to help them look their best! This is truly one of the most incredible opportunities I’ve been given in all my time as a professional golfer. The collection will be available on July 15, and you can see me competing in it at the PGA Championship – so be on the lookout for that! Monday marked my first time back at the course in three weeks. That was my plan starting my stretch of a six week break from competitive play- to step away from the clubs for a bit. I have started back with practice to get myself ready for the last few events I will play before 2015 comes to a close. My plan the next three weeks is to focus 80% of my practice time working from 125 yards and in. That includes wedge play, short game, and putting. My wedge play and short game are the two areas where I can easily improve. My goal is to become more consistent. When these areas of my game are on, I play well; however, I am a little inconsistent. If I routinely want to start winning more and contending in Majors, I need to be more consistent in these areas. I have been working hard on my fitness routine this off-season. My fitness goal is to put more muscle on my frame. My team and I felt like if we could add more muscle (strength, power, and speed) I would have an added advantage going forward. I have been working with my two trainers, Jeff Fronk, here in Jacksonville and Randy Myers, in Sea Island. I am working out six days a week and pushing my body harder when I’m with Jeff Fronk than I have in the past. It is important to gain muscle while still maintaining flexibility, also focus on injury prevention. In addition to the physical training, I am really trying to eat right. I have a pretty healthy diet, but need to consume more protein to help build the muscle I am looking for. So far, I’ve added roughly 10 pounds since the end of the season. Not all of that is muscle but it’s a start. Ideally, I’d like to see my weight around 180-185 lbs. Right now, I’m at 177 lbs, so, not far off the goal that I set before my 6 week break. It has been a relaxing and enjoyable time being home for a few weeks. A time where I can regroup, relax and spend time with family! Finally, Billy Horschel can get some sleep. It’s not much, but it’s something. The window shade of our private charter jet is twisted and bent out of shape as if it was slammed by someone exhausted by the sunlight, but it will do the trick. When he takes off his white PING G30 hat for the final time today, his normally impeccable hair, parted down the left side and smoothed across to the right like a throwback movie star, is also a mess. It’s been a long day, man. We’re somewhere over North Carolina, making the second leg of a round trip journey from Greensboro to Atlanta and fresh off a half-day media blitz to celebrate Horschel’s 2014 win at the TOUR Championship by Coca-Cola. The sleep is well deserved for the defending FedExCup champion. In the past 24 hours, Horschel has played the final round of a major and made the rarely traveled journey from Sheboygan to Greensboro to Atlanta. He’s held an alligator and caught a touchdown pass and hosted College GameDay (sort of). He’s beaten Dominque Wilkins in basketball (for real) and he’s taken photos with two-thirds of Atlanta residents. He’s done all of it with the seemingly endless energy you see on the course. But when his head hits the tan leather seat of the week's final plane, he’s out. I don’t know what type of jet we’re on, but Billy does. Of course he does. This is his life now. And he loves it. Let’s start with the money. It’s where everyone else starts these days. Every reporter knows to follow the money. Throughout our day together, and for the 338 days prior to it, Horschel is asked variations of the same question. “Did you splurge on anything?" “What’s one item you made sure to get?" I assume a lot changes when a 27-year-old earns $13,477,333.33 in three weeks. At least one thing stayed the same for Horschel; he will talk at length, offering opinions and analysis, about almost any subject you bring up, but he has never liked to discuss money. His 2014 season, specifically his three weeks of near-perfect golf surely didn’t make it any easier. He’ll tell you that his late-season windfall made it easier to pay cash for the house he and his wife Brittany were building in Ponte Vedra Beach, Florida. He’ll tell you that he took care of his parents and his in-laws, but anything beyond that is off-limits. It’s a rare bit of requested privacy for one of the TOUR’s most open and honest players. "No one needs to know what I do with my money,” said Horschel, who repeats time and again that the money is simply security. He’s said in the past that he has no interest in playing professional golf into his fifties. The money gives him even more of a safety net to call it quits on his terms. Thoughts of early retirement are not something he grew up expecting. His parents “worked their butts off to make ends meet” for the family in Grant, Florida. "Some people out there come into money like this and go shout ‘look at what I bought.’ And they get 5,000 people on Twitter hammering them because they look like a self-absorbed prick who does whatever they want. Obviously that’s not always the case. They have worked hard and that’s what they’ve rewarded themselves with. Some people don’t understand that." Of course, that doesn’t stop people from asking. He even gets questions when he goes to the mailbox. As soon as he made par at East Lake’s 18th hole last September, he became a much more savvy investor, at least in the eyes of the companies that started contacting him. “I think there were about 30 companies that sent letters and emails and anything else asking me to invest with them,” he said with a laugh. “I ripped them all up and threw them away." For everything he kept private, there was one fantastic financial detail that came out last year, and it dates back to a conversation Horschel had with his caddie, Micah Fugitt two years ago. Before the Playoffs started in 2013, a year before he would win them, Horschel made a promise to Fugitt: In keeping with the traditional 10 percent caddie fee, Fugitt could expect $1 million if they were ever to win. From there, the two had an unspoken agreement about bonus money. It didn’t come up over the next year. It didn’t come up when Horschel was in the final pairing with Rory McIlroy Sunday at the TOUR Championship by Coca-Cola. It didn’t even come up when the final putt dropped. "I just told my accountant to put another 1 million dollars in his account,” Horschel said. "That was it. He knew it as soon as we won. If I say I’m going to do something, I do something. That’s all." For Fugitt, having the agreement was one thing. Seeing the money – real, tangible money - in his account was another. "Shock, happiness, joy, you have such a wide range of emotions,” Fugitt told Golfweek. "He’s always been great about showing gratitude to people like that." Gratitude. That's exactly the word Horschel has been looking for this year. The way to describe how he feels about the life-changing run that is responsible for days like today. Horschel showed his gratitude to the PGA TOUR immediately last fall. After winning the final two events of the season and the FedExCup, Horschel was in high demand to play one-off events on other tours, and he could expect to collect plenty of appearance money along the way. Instead, he teed it up in Las Vegas and Malaysia and more, helping to support events that were part of the PGA TOUR's still new wrap-around season. “I felt like the TOUR has done so many great things for the players in creating the FedExCup that it was my duty as FedExCup champion to support those events however I could,” he said. “And even the ones I didn’t play in by saying, listen, I’m not playing your event, but I’m also not going and playing any others. Without all the sponsorship, the FedExCup would never have happened and I never would have won it and been where I am." 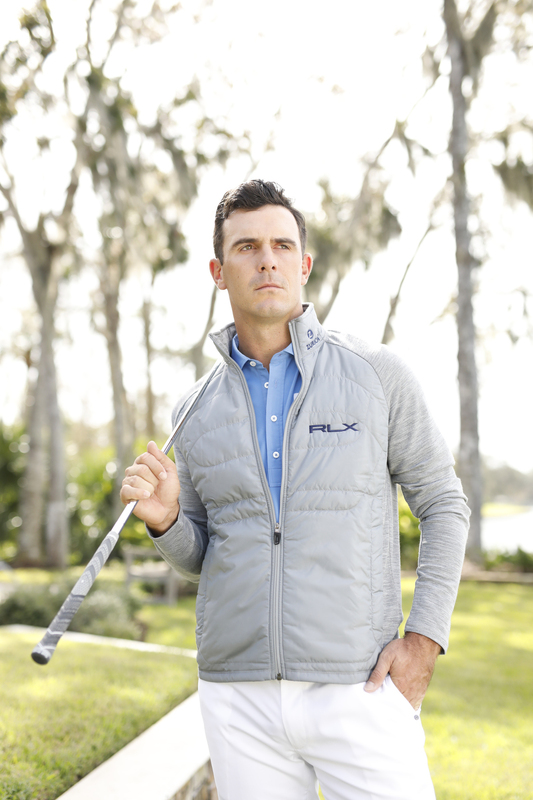 Back in January of 2014, Billy Horschel woke up confused, unsure of what he’d just seen. Before being snapped out of his REM cycle, Horschel remembers a strange, faint vision; a dream version of himself holding the silver, reflective FedExCup high above his head. Laugh if you want, but he knows what he saw. He filed the dream away in his memory and didn’t think about it for months. That vision was far from Horschel’s mind a year ago. He was leaving The Barclays disappointed and out of sorts. He had just missed the cut at the season’s first Playoff event and dropped to No. 82 in the FedExCup rankings, meaning he’d have to play well at the Deutsche Bank Championship just to get into the top 70 and advance. He hadn’t had a top 10 since June. He wasn’t exactly looking like someone poised to make a run. A few days later, he was listening to PING rep Matt Rollins talk about that week’s winner, Hunter Mahan. "He said Hunter wasn’t really playing well and then all of a sudden he wins at The Barclays and now he has a chance to go have his best season ever,” Horschel said. "I thought about that a lot. He’s exactly right. It doesn’t matter what I’ve done the rest of the year. I just have to play really good golf these next few weeks and literally everything changes." As you know, that’s what happened. I’ll try not to make any “dreams come true” jokes for the next several paragraphs. Horschel played 71 impeccable holes of golf the next week at TPC Boston, putting himself in position for the second win of his career. Standing in the fairway at the reachable par-5 18th, however, Horschel chunked a 6-iron into the hazard and made bogey. "I honestly had a feeling that I was going to hit a good shot and I was going to make the putt for eagle,” he said. “It was the worst swing I made all week." Horschel says he gets two important qualities from his family and both came in handy that day. First, he says he has an ingrained opposition to moping or feeling sorry for himself. That comes from his parents. “After that tournament I was totally good,” Horschel said. “A lot of people said a lot of negative things. A lot of people said a lot of positive things. I was just happy that I had finally played four good rounds and had a chance to win. I was mad for an hour and then it was over. "You can’t just say poor me,” he said. “What’s the point of that? You have to just say ‘F--- it.' Do whatever you need to do move forward." The second quality, if you haven’t guessed, is confidence. That comes from his uncles. “By the time we were in the car in Boston, he was talking to (coach Todd Anderson) about how he was going to win next week,” said Sherry Whay, Horschel’s agent. Not only did that prediction come true, he did it again the next week. In his winner’s press conference after the BMW Championship, Horschel said that if he was a betting man, he would put money down on himself to win again. During today’s media tour, Horschel is asked, in front of a group of local media and executives, to name the defining moments of his career. The question is an easy jumping-off point for Horschel to talk about the significance of his late-season successes. Instead, he starts listing some of his biggest disappointments. “What I’m going to say is kind of weird,” he starts, “but I’d say the defining moments of my career are probably the final round of the 2011 McGladrey Classic, where I was in contention and didn’t handle myself well and lost. That and the shot I hit at the 72nd hole at Deutsche Bank last year. Those made me into the golfer I am." He also includes his first win, the 2013 Zurich Classic of New Orleans and the first time he hit a golf ball over his house, but is quick to add that “you don’t learn as much as people think from success." After all, he hit his next shot through his parents’ window. CNN interviews the current FedEx Cup Champ as he reflects on the past season and what's to come. Billy is determined to win the FedEx cup again this year, which would make him and Tiger Woods the only two golfers to complete the feat. Billy discusses his personal progress as he works on his game, congratulates Jason Day on his first major championship, and speaks on the difficulty of maintaining composure under intense amounts of pressure PGA TOUR golfers face when competing in majors. ‪#‎GoBillyHo‬!